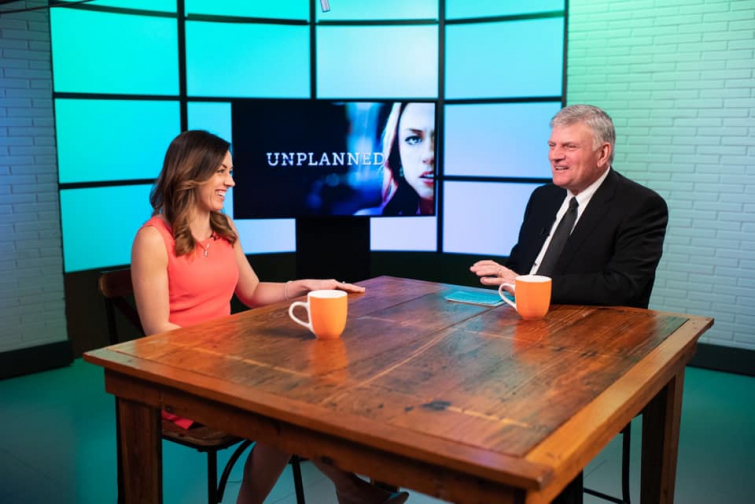 The pro-life film "Unplanned," which premiered in theaters March 29, has surprised many in the first weeks of opening. The movie has an R-rating for what the Motion Picture Association of America called "some disturbing/bloody images." But nonetheless many have watched it already and love it! Including Franklin Graham and many others. Bratcher revealed to CBN News while she was filming the movie, that her mother had almost aborted her. "She said 'I'm going to tell you something that I haven't told you before," shared Bratcher. "And she said to me 'I was in the clinic. I had my name called. I went back. I was being examined by a woman who was very pregnant, and I was on the table and that was when I changed my mind. To hear I was seconds away from not existing, and then also to know that here I am telling Abby's Johnson's story, it's so clear to me and evident that God's hand at work is present on this project," said Bratcher.